Print & Apply | Manufacturing | K.F.I. The implementation of a label printing and application system requires systems, software and specialised expertise for its integration with the other systems that govern and operate the production or palletizing line. 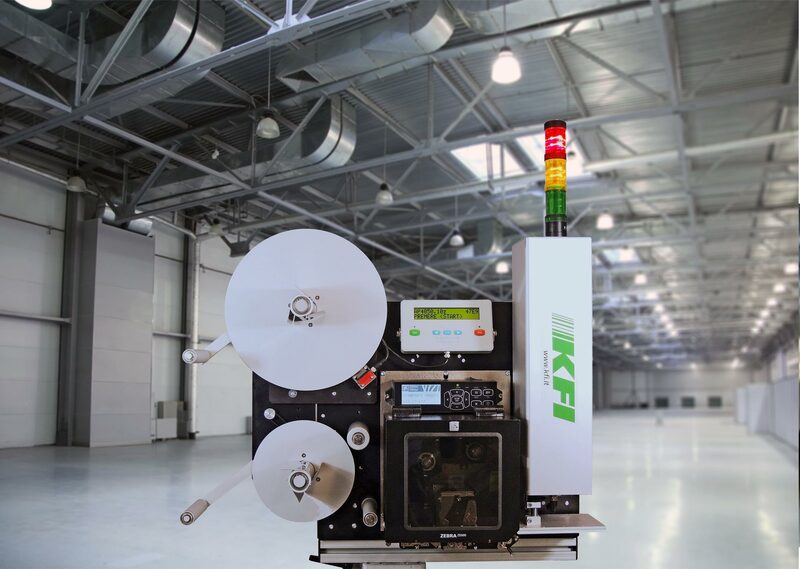 K.F.I.’s experts carefully evaluate all aspects of the question, from the systems that have to be interfaced with the applicator unit, to the ideal consumables for the specific application, and the operating conditions in question. Each detail is controlled and tested several times, since any shutdown of the production line could cause considerable inconvenience, with significant negative financial effects and customer disservices. Should the project require such, K.F.I. can develop software and middleware for the integration of the devices with WMS systems. This activity covers all phases of development and implementation: from a careful functional analysis to the roll-out of the solution.